In today’s show, we discuss a fascinating investing opportunity by investing in Residential Assisted Living home. Not ‘facilities’, and contrary to belief, you don’t even need to be the operator…you may just lease your properties to operators at a much higher rate. Gene Guarino joins to share this incredible opportunity, that only continues to improve with our aging population. Fascinating show – don’t miss it! Mike: Hey, it’s Mike Hambright with FlipNerd.com. 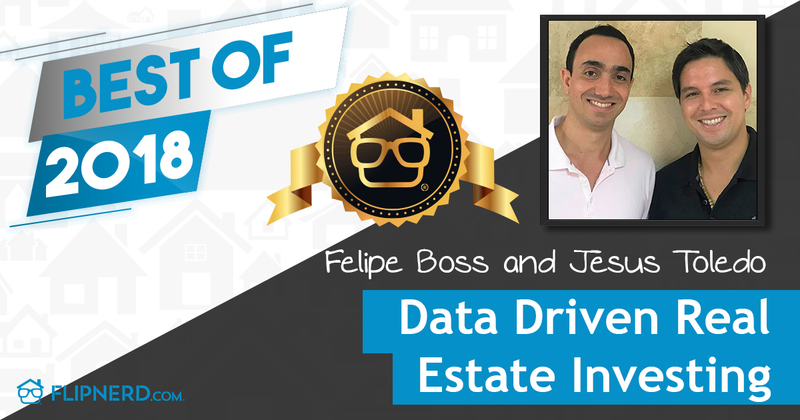 Welcome back for another exciting Expert Interview where I interview expert guests from the real estate investment industry to help you learn and provide some inspiration for you. Just a quick reminder of our upcoming REI Power Summit, REIPowerSummit.com, it’s going to be a massive online real estate investing event, probably the biggest online event ever. A hundred percent virtual so you can really watch it from anywhere, and it’s going to be a fantastic event. We have over 50 speakers lined up that can help you in your business, so check out REISummit.com. For today’s show, I’m excited. I’m joined by Gene Guarino. I have to use my hand here. Mike: He’s a real estate investor. He’s the author of several books. He’s been a host of multiple radio shows and has taught people all over the world how to start their own businesses. Gene’s primary focus these days is a really interesting topic. It’s Residential Assisted Living, literally turning traditional houses into assisted living facilities. And after 250 episodes of this show, very literally we’ve never talked about assisted living before, and given the aging population in America, this is a huge opportunity, it’s very exciting. And so if you haven’t considered it before, I definitely would say get comfortable and let’s start today’s show in just a second here with Gene here talking about residential assisted living. Hey, Gene. Welcome to the show. Gene: Hello, how’re you doing? Mike: Good, good. First of all, I’m excited that you’re here with us today. And this topic, it’s one of those things that a lot of people that are newer real estate investors, they tend to say, “Well, does that person have a lot of experience with real estate investing?” They lump it all together and of course with me doing this show, I’ve realized more than ever how many different niches there are and ways to make money and I know nothing about the majority of those different scenarios. I have a very narrow niche. But every once in a while you hear a strategy like yours and it’s just like, “That’s a huge opportunity. Never considered that.” But I’m excited to talk about it today. It’s really interesting. Gene: Yeah. I am so excited to share about it too because when I first heard about this a decade ago, we were taking about this earlier a decade ago, there was nobody there to say, “Here’s how you do it,” because they hadn’t done it themselves. So after a lot of research and getting into this, it is a phenomenal industry to be in and, like you said, with the baby boomers upon us, this wave of opportunity, this silver tsunami, the opportunity and the timing is just amazing. Mike: Yeah, yeah. Well, before we dive into the topic, can you tell us your background? I know you’re kind of a serial entrepreneur. You’ve done a number of things, but tell us where you started and how you got to this point. Gene: You got it. Well, at the age of 18, seriously, that’s when I bought my first property. Gene: I was actually in a business and we were renting a building from somebody and the landlord was terrible. I looked up the streets, saw a for sale sign, pulled it out of the lawn, came home, called the realtor and called them up. We ended up buying the house no money down. So that was my first deal, age 18. First commercial was aged 25 and here I am 30 years later still doing it. But now I’m doing just one thing, the residential assisted living. Mike: That’s fantastic. Yeah, I always appreciate it. In fact I had dinner last night with some of the people that I mentor and coach and one of them is getting their daughter involved in the business and she is 17. She literally graduated from high school earlier, getting in and her father’s goal for her was she’s going to be completely retired by the time she’s 30, if not sooner. And I think it’s always probably the biggest regret I hear a lot of real estate investors make is, especially those that were in corporate America or somewhere else and found their way there is that they’re like, “If I’d only started sooner.” So I always think it’s awesome for folks that started as early as you did because it’s been such a great business for so many people. Gene: Yeah. Well and just speaking to that family-wise, this is the first time in 30-plus years of real estate investing that my wife is involved directly with me in a business and it’s really exciting. With fixing a house and flipping it, I always felt like I just did everything to make this house beautiful and somebody else gets to enjoy it and they always trash it. So you make your money and you’re unemployed. And then when it’s buy and hold, you buy a house, you make a hundred bucks, $200 positive cash flow and it’s like when I was 20 that was exciting but when I’m 54, not so exciting. But now with this, we’re going to talk about the idea of putting a single home and making 5,000, 10,000, 15,000 net per month. Now we’re back to being excited. Mike: Yeah, yeah. I guess, maybe start by talking about just what’s going on with the aging population and stuff like that that kind of brings this opportunity about, a lot of people retiring with living on self security, you’re having very little assets. So talk about the opportunity that has created and how that’s come about. Gene: Yeah, with the aging population that everybody knows about, the baby boomers, and I’ll just run over the facts so people have it, 77 million baby boomers, 10,000 people a day turning 65 but more importantly, 4,000 people every day turning 85 and 70% of them are gong to need help with their activities of daily living. So think about, well, you woke up in the morning, you rolled out of bed. Well, sometimes people when they’re 85 can’t roll out of bed. You brush your teeth. Well, sometimes they need help with that. You made your breakfast, ate it, sometimes they need help with that. So those activities of daily living, they need help with. So why it’s an opportunity now, it’s not just the baby boomers but it was not that long ago where your life expectancy was age 40, then it was 60. Today it’s 77 maybe 80. People are living longer than they were before. So instead of the family just saying, “Grandma, grandpa just move back into the house,” and they’re gone, now it’s, “Wow, grandpa is lasting for a long time. Grandma needs help and I can’t quit my job to go help her.” So now they’re not ready for a nursing home and it’s not the Golden Girls where there are four people living in a house taking care of each other, it’s this in between. So this assisted living has really exploded in the last 10 20 years. And when I first thought about getting into the senior market, because I always look at the big picture, what’s the mega trend? Seniors, that’s it. So how do you get involved? Well, healthcare. I’m not going to own a hospital. I’m not going to put up a nursing home. But what I can do is take a single family home and make a better facility, a better residence for them and take care of them, helping them and then helping the family too. And then when you start mixing in the numbers, when people go to a large assisted living, the big box that many people who are listening right now, they’ve seen these units going up down the streets. A hundred, 200 units. [Inaudible 00:08:07] the hedge funds are putting in $10, $20, $30 million into these facilities. Grandma lived in a [inaudible 00:08:13] apartment in Floor 6 and its a hundred yards to breakfast. She wants to live in her home but she needs more help than that. So now it’s a home that’s in the neighborhood just down the street and there might be 10 people in the home and 2 caregivers 24/7 taking care of the residents in the home and it’s a home. What’s interesting to me is that we had somebody on the show a long time ago, really earlier on and their model was corporate housing so people that travel a lot, get back to the same city for like six months or nine months at a time. You stay in a hotel at 300 bucks a night, it’s $10,000 a month. And so what they’ll do is take that same house that you’d normally maybe, I’m just pulling these numbers out of nowhere, you can get $1,000 a month of rent. But if you furnish it and you turn it into corporate housing and you position it to corporations where the alternative is $9,000 a month, paying $300 a night at a hotel, people can’t leave their clothes there on the weekend, they have to go back and forth, they don’t have laundry facilities, and you essentially repurpose that house for two or three times what you would get at normal rent. But this is the same type of thing. You’re taking a house that by its nature has a limited amount of rent you could get on as a traditional rental, but you find a way to repurpose it where you could essentially get a lot more out of it. So talk about where do we go from here? Do you want to talk about the economics of it or where do we go? Gene: Sure. Well, let me give the bigger picture because when I do the trainings, in the room when I’m doing a training to a group of people that are attracted to this whole concept, there’s a group of people that just want to be on the real estate side so they own the house and they lease it to the operator. Gene: Yeah, then there’s a group of people that just want to operate the business and they don’t understand real estate or they feel like they can’t buy it because they don’t have good credit or money and they haven’t learned how to do it with nobody’s I teach them how to do it without their own money. But then there’s the group that wants to own the real estate and operate. So let’s start with just, a lot of people who are listening here I’m sure are real estate investors. Gene: So with this home where let’s say, and I’m going to go bigger. Let’s say the home average rent is $2,500 for that home. It’s a little nicer home, a bigger home. If they could lease that to somebody for $5,000 a month and it’s a five year lease, that’s very attractive. Now why would somebody pay twice the rent? Because they’re going to commit and they’re going to operate this business in that home and it’s licensed and it’s legal and all, [inaudible 00:11:11] and they’re going to make $10,000 a month and up if they want a long-term lease. It’s low impact tenants because grandma doesn’t put a lot of holes in the wall. They’re in bed by 7:30 so the neighbors aren’t complaining. So the business can be very, very profitable and the real estate investor who owns that real estate, if they can buy the right home and then lease it out for up to twice the fair market rent, that’s a great position for them. So if you own the real estate and the business like I do, then you’ve got the best of both worlds and you can make your 5, 10, 15, 20,000 net profit from being on both sides of the equation. Mike: Sure. So as an investor, if you wanted to work separately with an operator, you’re not the operator, you just prepare the property, I guess some of why you’re able to get more rent out of that is because your retrofitting it to have some safety features, ramps, wider doorways, all those things. Talk about some of the things that an investor would have to do differently than what they do maybe traditionally today. Gene: Sure. Yeah, and then I also want to make sure, I cannot forget this, how to find the product that we’re looking for. So doing differently, the average house, again I’ve had many rentals before, you want to make sure that the house is safe and clean and all that. But with seniors, safe is different. So grab bars in the bathrooms, it might be toilets are a little higher, the elongated toilet a little higher. It may, if it’s going to be a big enough facility, you may have to have sprinklers installed in the home. Gene: Or, “You have to give me permission to be able to do those things.” So why would that investor who owns the house allow that? Five year lease with a long term tenant and up to twice the fair market rent, that’s what they get out of it. On the other side, if that person who’s leasing the building or the house, in this case, for a five year lease, is going to make 10 grand a month in profit, they may be willing to put in $50,000 in remodeling costs. And so it’s a give and take and that’s where there’s some negotiation with regards to why one party would do it versus another. Mike: Yeah, so it’s like a commercial property where you allow people to come and do their own finish out or maybe you provide them some funds to do those things. I know it’s interesting because as an investor, once you make that decision, it’s a long term decision. I know we’ve bought plenty of houses from elderly folks or folks that passed away, inherited houses and things like that, that had been retrofit for an aging population. But usually when we rehab and we resell, we’re trying to appeal to more of a mass audience so we undo all those things. We put smaller doors in, we get rid of all the grab bars in the shower because a young family probably doesn’t want that and so it’s interesting. It depends on who your audience is going to be, but that’s interesting. Gene: And now I want to address this because I don’t want to forget it. I’m guessing a lot of people, and this is one of those tips I could save for the end, but the point is a lot of people have passed up on homes because of the grab bars, the wide doorways, why are there so many bedrooms, it’s all hardwood or tile and I’d rather have carpet in my bedroom. It’s like pause, that’s the purpose, you’ve already got all of the elements for the assisted living home and somebody already did all the hard work for it. Or somebody passes up on the home because it’s on the busy commercial street or backs up to the commercial, or the backyard is noisy or loud, works out perfect for the assisted living. Everything is convenient. Commercial backyard, nobody else wants it, I get the house with a discount. But grandma can’t hear that well so being the backyard with the commercial and it’s louder, that’s not a big deal. So there are a lot of properties that people have literally passed up that they should now look at differently. It’s a cash flow. Mike: Yeah, and you made a comment about finding properties and my guess is I’ve been in the business for so long that we buy houses that are usually distressed, we buy at deep discount. It’s hard for me to pay retail for anything now in my life because I’ve been brainwashed that I don’t have to. But I guess when you’re looking at what you can get in terms of value out of a house like this, you could probably very easily, or just in some markets of course, maybe pay full retail value for a house because you’re going to get double the rent on it. It’s a different evaluation then what is the market value of it as a residential property because you’re changing the purpose of it, right? Gene: Oh, absolutely, and you really hit the nail on the head because in the current economic cycle we’re at right now, this whole S-curve and the idea where real estate is at, we’re definitely heading back up. We’re not at the bottom anymore, guys, and the idea of I’ve been doing real estate for 30-plus years and the mantra is you make your money when you buy. So we’re already seeing 30% below the fair market value. I can look at a house, if it’s in the right area, pay full market price, get the house and now turn it into a massive cash flow because it’s not the limited market of the single family home where I’m renting it out for a year at a time. It’s a business that I want to have there for decades and it’s huge opportunity. Mike: Right. So talk about somebody who just wants to be the investor in the property and then maybe talk about, probably not quite as fitting for this audience, but just maybe take a couple of minutes to talk about the person that just wants to operate. So I was showing him, but I said, “Well, do you want to own the real estate or just operate the business?” He said, “Well, I just want to make money and I’m an operator. That’s what I do.” I said perfect because I have investors who have the cash, they want to just buy the house and partner with somebody who wants to operate. So by putting them together, what’s in it for each party? The real estate investor, they’re paying for the house. Their cash is what’s being used as cash or credit. What do they get? They might get a preferred rate of X if it’s cash or a loan plus X on the additional cash, so they’re going to get that. The operator, what’s he going to get? The operator is the one who’s going to put the business together, operate the business, maybe get a couple thousand dollars a month as a base and then the profit that’s left over could be split 50/50. So the operator may end up making six grand a month from not only the real estate, just operating business and it’s one of four or five if he does, and the real estate investor is totally hands off. They own a small retainer of the cash they use for that and then they split up the profits which now doubles or maybe even triples the rate of return. So putting of the two together there is a beautiful thing. Mike: Yeah, yeah. I guess from an operator standpoint, can you give so a couple of questions. One is an operator would typically be in one geographic area. It’s not somebody that’s probably operating all over the country, right? Mike: Because they’re probably a little more hands on than an institutionalized facility, let’s say, is my guess. Gene: Well, let me give you where the industry is at today and then where we are working on taking with our academy when we teach people. Right now this is a mom and pop industry, so most people who are doing this are mom and pop. They own a home, the kids moved out, they have the extra bedrooms, let me get a few other elderly people to move in, make some extra food, do some extra laundry, be the care giver. That’s not what I want you guys to do, not at all. I want you to operate a business. We have a product and the product is we’re offering this service to our residents but your client is really the family. I’m 54, I’m not moving into the home but mom or dad is so the family is the client. The resident is the head and bed but the family is the one who’s paying typically for mom or dad or it’s coming out of the estate, their future inheritance. So I’m appealing to that person there for the resident in the home. But in regards to the operations part of it, I have managers, they have care givers, but I may not go to the house for weeks or a month. I’m not there on a daily basis. If somebody wants to be the caregiver or the manager and so on, you can do this but that’s not what I really want you guys to do. I’d rather have you oversee three or four of these and they can be in different states. A lot of times people are caught in the nexus of, “I have to live next door to my property so I can go touch it, feel it, see it, smell it. That maybe a bad thing. It may be better to do it in different states and you can only go there once or twice a year. And that’s what I want to encourage people to do, not this mom and pop, but be a business operator and oversee a number of them. So it just depends on what you’re really trying to go after. Mike: Yeah, and I guess from an operator’s standpoint, I guess whenever you have a really small number of employees like if you have one or two people that are there, there’s some benefit to having multiples in the same area generally because if somebody quits or gets hit by a truck or you fire them or whatever, you can probably have somebody come over from the other side of town to take that instead of being screwed. Gene: The economies of scale of having a number of them in the same spot definitely work just like with apartments. When you have a 10 unit apartment building, you really can’t afford a full time handy man but if you have a 50 unit, you’ve got a full time handyman, full time onsite this, that. Same thing with the homes, if you just have one, all right. But if you have four or five and they’re in the same area, the economies of scale definitely help you. Mike: Sure, sure. So maybe you could take a couple of minutes to talk about my guess is it’s probably different from a and my guess is there are some rules that are different probably by state, right? In terms of what you have to do to retrofit your house and be safe and compliance and all that. So we won’t get into that because we’re not trying to talk about 50 different states requirements. But maybe just some general thoughts on risk or liability for let’s just say the investor. My guess is there’s more risk on the operator side. But talk about if someone just wanted to own the properties, what is their additional risk and how do they mitigate that, I guess. Gene: It’s a great question, Mike, because the reality is that is one of the biggest questions I had and I think anybody is thinking about this has. So first, separate the real estate from the business. Two entities. If you’re going to be part of both, that’s great. But one entity owns the real estate, one entity owns the business it leases from. Each one has its own liability policy in insurance. So the real estate side we know is an umbrella policy whatever the coverage may be. On the business side, there’s a very specific policy for this business and that insurance cost is about a dollar a day per resident. So doing the math, 10 residents, that’s about $300 a month so it’s not exorbitant. The average resident’s paying $3,500 a month. Now that’s nationwide. But out here in Arizona there are people paying $2,000 a month and people paying $12,000 a month, so some people are in high end homes and others are in low end homes. I don’t focus on the low end homes. I don’t focus on the top of the top. I focus on level three and four as we call it in our training where you’ve got the efficiencies of the money, I can only have 10 people there. I want 10 people who are paying $5,000 versus 10 people paying $2,000. The money just works a whole lot better. So I think that answered the question, but do we get [inaudible 00:22:59]? Mike: Yeah. A lot of real estate investors often think of well, what’s my risk? If somebody is there, the mother is staying there, like you said, the client is your family. So it’s a very litigious society so people say, “Well, my mother lives there and she fell down because she tripped over a crack in the side walk that shouldn’t be there,” and you know that stuff is going to happen so just trying to better assess the risk. Gene: Exactly. Yeah, let me address that because the reality is when somebody goes to an assisted living facility, they’re expected that they’re going to fall, you know what I mean? We always tell somebody when they come, its like look, mom, that’s why she’s here is she’s got a walker or she doesn’t have a walker. But it’s not if she falls, it’s when she falls, here’s what we do. Here’s the procedure. Now let’s go all the way. Somebody dies. If somebody dies on your front lawn because something happened, [inaudible 00:23:53] because they weren’t expecting that. Literally when somebody moves into an assisted living facility and they’re 85, 90 years old, they’re more than likely going to end up passing away while they’re a resident at your home. Now that freaks you out, got it. But I understand where I’m going when I pass away from this world so I’m okay with that. But my point is that when the family brings mom there, they know that this is kind of the last stop and she is going to die. So the litigious aspect of well, mom fell and she died, well, that’s part of this whole thing. I’ve never ever had an issue with that and I say that because I haven’t and also because people understand that mom will not last forever. At times really what happens is before someone gets to an assisted living facility, a care home like we provide in a residential situation, they’re there because they fell at home. Mom fell getting out of bed, she cracked a rib and she went to the doctor and they came out of the hospital three days later and they’re like, “Okay, who’s going to take care of mom?” And the kids look at each other and go, “Oh I can’t quit my job. What are we going to do?” And then the alternatives are pay somebody $25 an hour to come to them for 8 hours a day. Well, that gets pretty pricey pretty quick. Mike: Sure. And Gene, I don’t know the different clearly I’m not an authority in this space and I don’t know the different levels of assistance needed, let’s say, but generally these are where people need assistance maybe going to the restroom, eating, they need some help keeping their room clean and cleaning the house or meals and stuff like that. So generally speaking, you’re working with people that are somewhat self sufficient, right? It’s not like these are Alzheimer’s units where they need nonstop help necessarily, or am I reading that wrong? Gene: Actually it’s right in between what you just described. So when I used that term The Golden Girls, it was a show in the early ’80s where three mature women were living together taking care of each other, it’s not that because if they can do that, they’re going to stay at home and do that. These people now are saying, “Wow, I didn’t remember if I took my medication. It’s hard to take a shower by myself,” so they do need more help. And when we say assisted living, that’s just it, they’re assisting with their activities of daily living so whether it be brushing teeth, [inaudible 00:26:15] food and so on. Now that’s the light side. Here’s my ideal. People always ask, “What’s the ideal resident?” Well, they’re 35 years old, they don’t need any help and they sit in the chair and they read books. But that’s not reality. Reality is they’re 85 years old. They’re having trouble getting around mobility-wise. Everyone has a level of dementia, I always say that. “Where are my keys, where are my sunglasses,” and they’re sitting on the top of their head. So everybody has some need, but at this point when we’re talking assisted living, they probably need help with those five activities of daily living. It may be 3, it could be 10 but the point is they definitely need help. Now some need a lot of help and it’s never medical. That’s one thing I want to make sure we understand. A nursing home nurse, nursing home is medical, so there’s gurneys, hospitals, IVs, the whole bit. This is a home just like your home, just like my home, so the people who are there need help but it’s not medical type help. What if they do need medical? Then the doctor either comes to visit them or the family brings mom to the doctor. What if it’s an emergency? Then 911 is called just like you would at home. If somebody slips and falls and breaks a hip, 911 is called, they bring her to the hospital. So it’s kind of in between those two. Mike: Sure, sure. So Gene, what else haven’t we talked about? What are we missing here? We’ve got a few minutes left to talk about it. Gene: You got it. Well, the bottom line is the opportunity is just absolutely huge. Let me give you the big picture. There are millions and millions of people that are in a home right now, whether it be a large facility, I don’t want to say institution but a Brook Dale or Sunrise with 200 people, or whether it be a private home. And 32% of these millions of people are living in the big facilities and 68% are living in homes like I have and that’s huge. So the big guys are getting into this industry but just because they built it doesn’t mean they’ll come. So if somebody’s now looking at getting into this and they’re saying, “But the big places coming in right down the street,” my answer to that is, awesome, because what they just did was all of your market research. They’re telling you that the seniors are here, they’ve got the money, they can make a boat load of it. Now the question is, does mom want to live in that big apartment style or live in the comfortable home next door? So it’s actually a perfect situation when they come to town. Having said that, there are some places where there’s nothing. If you say, “I’m going to look up residential assisted living,” and there’s literally no home in town for them. Well, what are they going to do? They’re not going to move grandma from Dallas to El Paso, right? They want mom to be right there. So there’s huge opportunity. In talking Texas, in your backyard, you can have up to 16 people in this single family home. That’s considered a small home in Texas, 16. Texas is an awesome state for that. And I teach people from all over the country, don’t think that only old people live in Texas or Arizona or Florida. They’re all over the country and you can do this anywhere. You don’t need any medical background. This is something that you can do and I spend maybe 5 to 10 hours a week on my homes. That’s it. I’m not in them every day. I’m not spending 40 hours a week. I’m not doing 80 hour weeks. But I’m not a caregiver, I’m not a manager. I hire those people. But the money that we can make is significant and we can help a lot of other people. So do good and do it well is my motto. I know you have an academy and I want to ask you how people can get access to learn more about this because, gosh, we can’t cover all this in a half hour segment. But what is a short answer for how a real estate investor could get paired with operators that might be in their market? Gene: The reason why I created a three day training is because whether you’re an investor or whether you’re an operator or owner operator, there are certain things you need to know. And if you’re just going to be the real estate investor, it’s going to be really important for you to understand what is this tenant, that operator looks like? What are they supposed to know, do, what does it look like, feel like, because if you’re going to sign a five year lease with somebody, even at twice the fair market rent, you want to know something about what they do. So come to the class to learn that aspect. Now [inaudible 00:30:41] those people, literally when you’re in the class if they need each other, perfect, love it. Or after the class when I’m helping my students do this thing, which I love the… what’s happening right now is we literally have dozens of projects all over the country that our students are doing and I love that part. But I’m putting together operators with real estate investors whenever I can because they both understand they’re a part of the equation and if we put them together it’s the best of all worlds. So coming to the class, you learn what this whole thing is, what part you want to play and maybe even get connected right there or we can connect it after. Mike: Yeah, seems like as an investor, when you hear this, you might be excited and, “Hey, I want to. Let’s do 10 homes. Let’s start tomorrow.” Of course we don’t want to give limitations there outside of maybe the capital to do it is finding an operator for all those places like how can I find that other side. Awesome. Mike: Yeah, they get it. Especially if most people want to know that if the alternative is funding rental properties, it’s like well, the rents are significantly above the traditional rents so I don’t have to worry about debt service, if you will. Mike: Yeah, yeah. Well, Gene, if folks want to learn more of this, I know we couldn’t cover everything today, where do they go to learn more about you or about some of your events or your trainings. Where should they go? Gene: You got it. Well, first of all I have a free report that all of your listeners can get and I’m going to give you the website you can go to. And if you just fill in the form that says send me the free report, I’ll do that, and maybe an article that we had in US World Report and so on. But the website is simply RALacademy.com. So Residential Assisted Living Academy.com, RALacademy.com. Mike: Okay, awesome. Well, we’ll ad a link, download the video here for anybody that wasn’t able to write that down maybe just listening in. But it’s an exciting space. I’m interested. We’re going have to talk offline at some point and talk about opportunities. But it’s an interesting space and I think real estate investors are always looking, “How do I squeeze more juice out of that fruit,” right? So this sounds like it’s one of those potentially great opportunities so thanks for sharing with us. Mike: All right, Gene. Have a great day.